This has been my third year teaching political analysis of development policy at Manchester GDI. Strangely, I have never used any of the donor-produced PEA frameworks in my course materials or lectures. The reason lies partly in the fact that commonly employed PEA frameworks – like most social science – are better at identifying structures than theorizing change; to my mind, this was true of Drivers of Change, SGACA, and the World Bank’s Problem-Driven PEA. So if you are interested in change – which is what development actors do – then you need a different set of tools. With that in mind, here are three intuitive but subversive conceptual tools that I introduce in Why We Lie About Aid. In any particular field of development assistance, some actors will be relatively powerful and satisfied, while others will be relatively powerless and dissatisfied. Academic work on social movements has generated a simple yet intuitive distinction that is useful for action-oriented PEA: incumbents and challengers. Incumbents tend to be the actors who benefit most from the status quo, either because it resonates with their beliefs and goals and serves their interests, or because they have invested a lot of time and resources in adapting to it. Incumbents tend to be wary of change or outright hostile towards it. Challengers, in contrast, seek to upend the established order of things, advancing new policy objectives, new forms of decision-making, or new normative goals. Challengers are agents of change, which they pursue by familiar means: lobbying, scheming, advocating, coordinating, framing. Reformers are the ultimate challengers, because reform – and development in that sense – is the ultimate challenge to political incumbents. In practice, development is not a single process of change, but a tug-of-war between reform mobilization and demobilization. These are competing processes in which challengers and incumbents, respectively, work to organize coordinated action for change or pre-empt and minimize the success of such action. A lot of the time these processes are launched or spurred on by external actors and ideas, as incumbents and challengers across the different fields of development form alliances that bolster their own internal struggles. Every aid intervention can, and, to my mind, should, be seen as a process of mobilization. By the same token, every aid intervention is likely to be met with a proportional push-back in order to safeguard the institutional status quo. Mobilization and demobilization are also present inside donor fields, and most crucially in agendas like Thinking and Working Politically, Doing Development Differently, and the results agenda, all of them competing narratives advanced by epistemic communities seeking to reform aid organizations. And reform mobilization and demobilization are not exclusive to development intervention on the ground: the very organizational soul of aid is being fought over in the pages of The Daily Mail and William Easterly’s books. This characterization of competing political processes has implications for determining development success and failure. Anyone familiar with public policy knows that definitive results are rare. Over the years, there is an ebb and flow to priorities, budgets, and targets, a constantly moving bar that makes assessments of impact difficult. Development is by definition a slow and bumpy road, full of twists and turns, and prone to reversals. For all these reasons, it seems to me that determining the success of aid by what can be accurately measured in a two-to-five-year timeframe is a fool’s errand. Instead, development assistance needs to be assessed in terms of the episodes of reform that it launches and sustains. 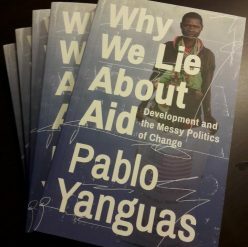 My catalogue of reformer struggles and donor misadventures in Sierra Leone, Liberia, and Honduras could easily be construed as an exercise in conventional aid criticism: projects did not work as intended and money was wasted, end of story. However, I would consider this a myopic and cheap reading of the evidence. What aid achieved in those countries may not have looked like much according to the most reductive of quantitative indicators, but it amounted to much more than what donors themselves probably expected. Those interventions launched processes of reform mobilization, prompting a re-examination of political norms, legitimate representation, and development objectives. They empowered some key local actors, giving them funds and skills that would allow them to continue fighting even after donors left. They delegitimized corrupt incumbents, and in some instances effectively toppled presidents who preyed on their own countries. They gave reformers hope. Astute readers will have noticed that in presenting these concepts I borrowed liberally from the scholarly agenda of contentious politics. It is not the first time, and it won’t be the last. I got my PhD in Cornell, where Sidney Tarrow mentored some of my best friends. At the time I dismissed what they were doing as “social movements stuff”, completely unrelated to my serious “political economy” stuff. But later on I learned about Kingdon’s multiple-streams approach, about strategic action fields, about Merilee Grindle’s work, and I realized that if you are interested in change, you need to hang out with the people who study it. Many of the concepts and assumptions of contentious politics are equally valid for the politics of development policy; we ignore them at our own peril. Every year I tell students that social theory is a diverse toolkit, and that they need to make sure their tools fit their analytical purposes. Perhaps those of us in the business of political analysis could do the same.